The following instructions help you install and configure MySammy software. 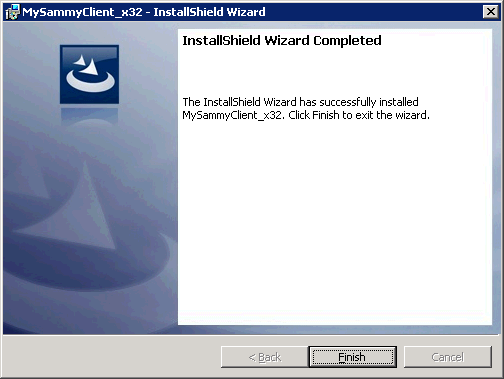 The client software should be installed on all machines you want to collect activity data from, unless the MySammy Client Server software has been previously installed. 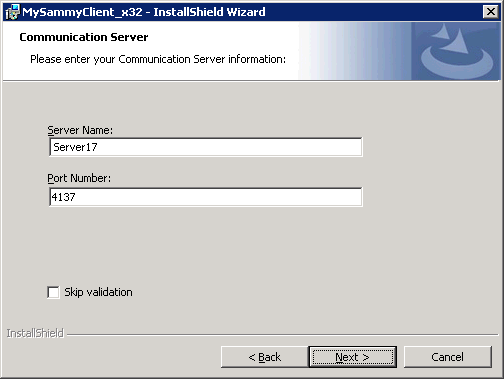 Enter the Server Name or IP address of your Communication Server and the listening port for MySammy (default is 4137), then cllick next. 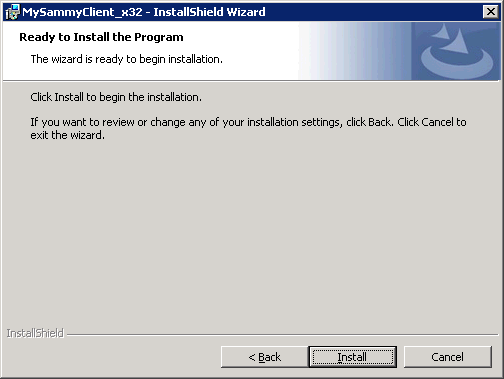 Your install is now complete, click Finish.